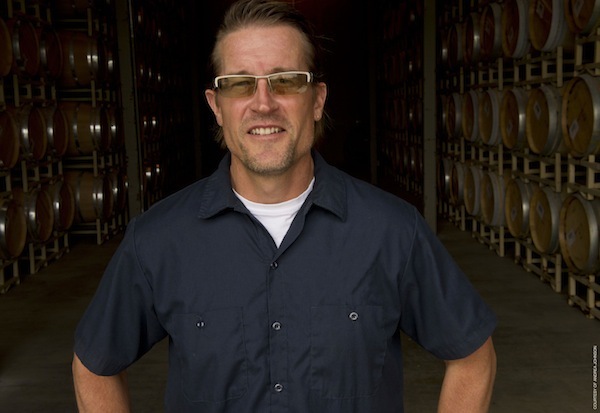 WALLA WALL, Wash. — Winemakers often will smirk and say, “It takes a lot of beer to make good wine.” In the case of David “Merf” Merfeld, he was helping to make a lot of good beer for Ste. Michelle Wine Estates before he started making great wine for Northstar Winery — its premier Merlot brand. “I would probably be making beer if I wasn’t making wine,” Merfeld said. Merfeld grew up on an Iowa farm before following a friend to Seattle, where he became enchanted by the emerging craft beer environment. So Merfeld attended the beermaking program – not winemaking – at the University of California-Davis, then received more instruction at the American Brewer’s Guild in Woodland, Calif.
Armed with that knowledge, Merfeld returned to Washington and worked his way up the ranks at historic Grant’s Brewery Pub in Yakima, which Stimson Lane (now Ste. Michelle Wine Estates), had purchased in 1995. Grant’s long had been a watering hole for Ste. Michelle winemakers and staff, and Merfeld’s regular customers included Gordon Hill, winemaker for Northstar, and the late Glenn Coogan, then VP of operations for Ste. Michelle. Ste. Michelle launched the Merlot-focused Northstar with the 1994 vintage, and it was looking for someone with Merfeld’s personality and fermentation background. “That’s my story. Gordie Hill and Glenn Coogan approached me and asked if I wanted to start making wine,” Merfeld said. So in 2001, Merfeld worked his first crush for Northstar, assisting Hill and famed Napa consultant Jed Steele. It was a short commute for Merfeld because those wines were being made in the Yakima Valley. A year later, Ste. Michelle built a permanent home in Walla Walla, and Merfeld took over as head winemaker at Northstar in 2005. Ste. 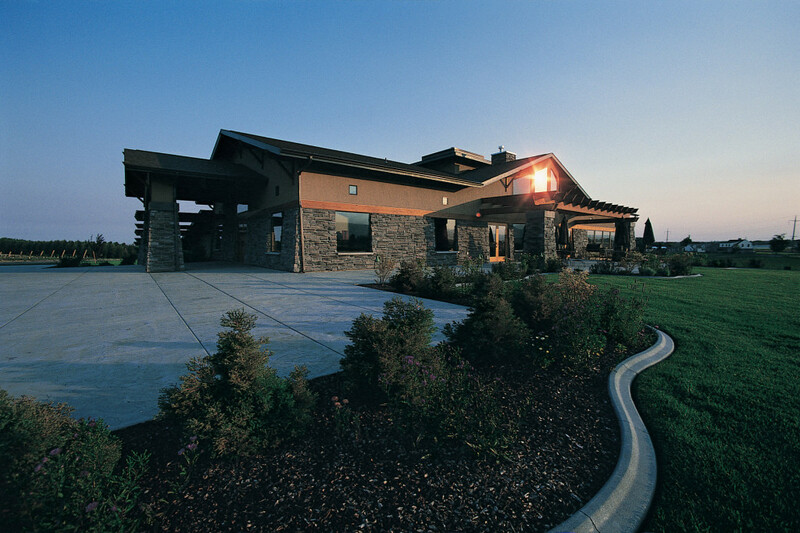 Michelle Wine Estates built the Northstar production facility in Walla Walla in 2002. As a winemaker, Merfeld has curtailed his beermaking affinity for playing with a wide variety of yeasts. But when Ste. Michelle bought him a state-of-the-art Vaucher Beguet Mistral sorting system in 2007, more doors opened up. In future vintages, look for Anna Marie Vineyard in Walla Walla and Beverly Vineyard, just north of Mattawa, Wash., along the Columbia River, to take even larger roles. And it doesn’t take much to get Merfeld to gush about Beverly. He continues to embrace the fruit from nearby Stone Tree Vineyard on the Wahluke Slope, as well as Klipsun and Shaw on Red Mountain, Horse Heaven Hills sites Coyote Canyon and Horse Heaven Ranch, and four other sites in the Walla Walla Valley. Merfeld pointed out that he’s backed off his use of French oak. This fall, Merfeld celebrated his 2009 Premier, a 190-case lot of 100 percent Merlot, which is the debut bottling from a project that Ste. Michelle dubbed, “The Big Dipper Chronicles.” Lots from several vineyards throughout the Columbia Valley were in the running, but the 2009 Premier is all off Cold Creek Vineyard, a historic estate site chosen by the late Walter Clore for Ste. Michelle. One side of Merfeld regrets sacrificing some of the bold structure that’s come to be associated with Washington-grown Merlot. Tannin also is critical to the aging process, and one of his most defining experiences stems from a tasting group that included winemaking peers. He gathered as much of the technical info as possible and used those figures as benchmarks for his own Big Dipper project. He also fashioned a concrete fermenter to play a role. Perhaps “The Big Dipper” project should have began with the 2008 vintage because of the remarkable job Merfeld did with Northstar’s mainstream Merlot bottlings from the Columbia Valley and Walla Walla appellations. Both the Columbia Valley and Walla Walla Valley releases define the term “mellow Merlot,” as the structure of both can be described as silky. Removing tannin through chemistry is one of fascinating tools that Merfeld has developed at Northstar. Last summer, he saw his enologist, Noah Fox Reed, land the head winemaking job with Watermill Winery – Wine Press Northwest’s 2011 Oregon Winery to Watch – in nearby Milton-Freewater. The Brown family, which owns Watermill, first planted Anna Marie Vineyard in 2001 — five years prior to Fox Reed arriving at Northstar. Merfeld, a family man rarely seen without his signature sports eyewear, has created a life in Walla Walla that also affords him the opportunity to pursue the game of golf and develop as an endurance athlete. Staying active helps him stay close to his first professional passion – beer. Who’s No. 1 for Riesling?